McLaren has released official spy images of its upcoming grand tourer. The car hasn't been named yet but the supercar maker likes to refer to it as McLaren's idea of a grand tourer. The car was first announced at the 2019 Geneva Motor Show and is a standalone model, not derived from the brand's other series of super and hyper cars. The grand tourer's styling seems to reflect this too. It seems to have lost much of the flowing lines and sharp curves of the brand's other cars. The whole design seems a lot more sedate, accentuating the car's quite generous proportions. There seems to be a lot more subtle surfacing going on, especially around the rear haunches. The slimmer, less stylised headlamps and tail lamps also reflect this philosophy. Notable are the massive side air intakes and the high decklid at the rear. 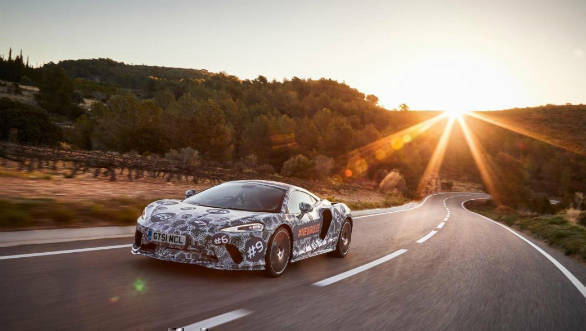 The company claims that the interiors of the car will be the most luxurious yet for a McLaren, with enough space for occupants and luggage to cover a roughly 1,600km Woking to Barcelona run non-stop. Powering the new mid-engined grand tourer will be a version of the brand's twin-turbo V8. The British firm claims it will have the best power-to-weight ratio and be one of the quickest grand tourers on the market. 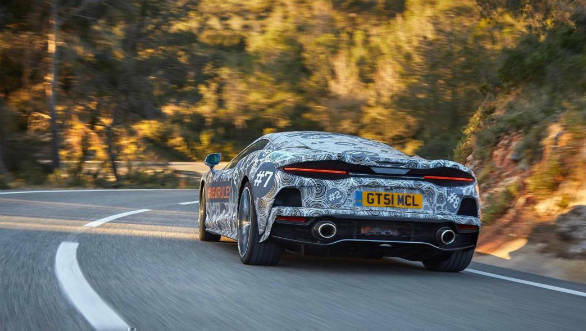 So expect a version of the 720's V8 motor with 720PS and 770Nm. This engine could be updated further and get some form of electrification to get close to the 900PS mark. The car will be a big shift from what McLaren is known for. This will possibly appeal to a new set of buyers who don't really need a track car for the road but still want to experience McLaren performance in a more usable package. Competitors will include the Bentley Continental GT and Aston Martin DB11 Superleggera.